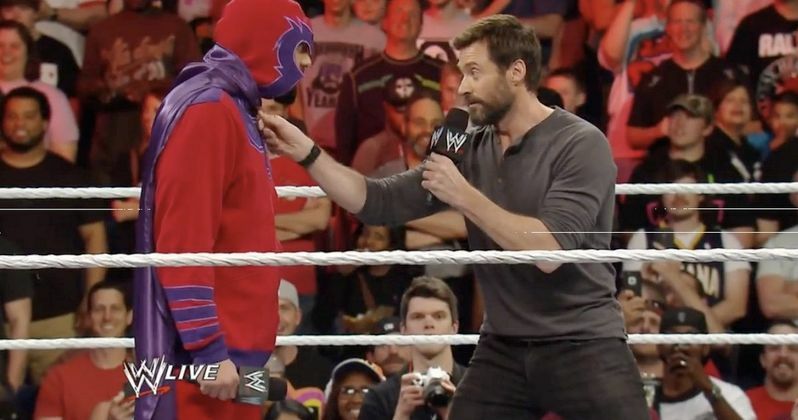 Watch Hugh Jackman Battle Fake Magneto on WWE Raw! This past Monday, Hugh Jackman guest starred on /tv/wwe-raw/WWE Raw to promote his latest appearance as Wolverine in X-Men: Days of Future Past. While he didn't bring any new footage from the movie itself, he did climb into the ring only to be confronted by 'Magneto'. Check it out as the popular actor takes part in a bit of fun with WWE Superstars Dolph Zigger and Damien Sandow (who dons the purple cowl and cape as everyone's favorite magnetized bad guy).